Buy online Curv8 Oak Champagne 1/2 in. Thick x 8.66 in. Wide x 71.26 in. Length Engineered Hardwood Flooring (30 sq. ft. / case) Curv8 Champagne and leave review or share with Your friends. Curv8 from Bolefloor is a one of a kind edge cutting organic hardwood flooring technology. 1/2 in. engineered hardwood flooring with an 8-layer aluminum finish and top of the line Baltic Birch plywood core. 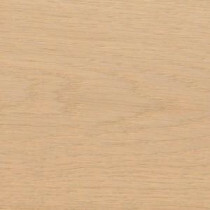 The micro-beveled edge emphasizes the natural shape of each handpicked board providing a beautiful and unique look to any room of the house. Easy to install with detailed instructions included and one YouTube. Install on or above grade with standard tongue and groove profile, glued, tacked or floated. E-1 standard air quality rating better than required in the U.S. A 25-year residential (5-year commercial) finish warranty for long lasting durability. 30 sq. ft. per case and case weight: 52 lb.